Light up maraca will make a rustle sound and flashing when you shake it. 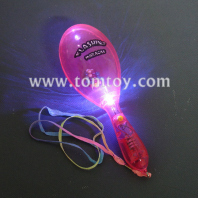 You can choose the flashing styles from tomtoy. Perfect party favor for your Musical Parties and Event. Your party will be brighter and hot thanks to this light up maraca.